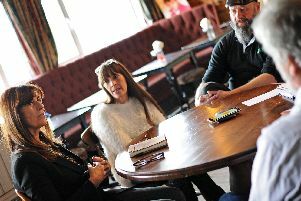 The Gate House in High Street and The Red Lion in Market Place, both in Doncaster, as well as The Old Market Hall in Market Street, Mexborough, will each be serving up to 25 beers during the festival, which runs from Wednesday March27 until Sunday April 7 inclusive. They will also serve three ciders from UK producers. All the beers and ciders will be priced at £1.99 a pint. The Gate House manager, Benjamin Leese, said: "We are promising our customers a superb range of beers from overseas which have been brewed especially for the festival, together with some great beers from brewers across the UK.